A lot of people made a comment on my Hukad sa Golden Cowrie post, and most of them agreed on the poor service and food quality at the Terraces Ayala branch. It may seem very contradicting that I recommended Golden Cowrie as one of the restaurants in Cebu to visit and dine in because I somehow trashed the Ayala Cebu branch. 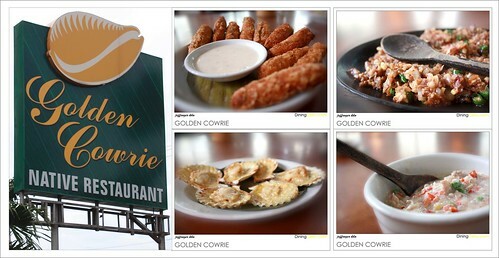 Most of the good dining experiences I had of Golden Cowrie was at the SM branch because my family frequently go there. This time around I’ll be featuring Golden Cowrie in Lahug. 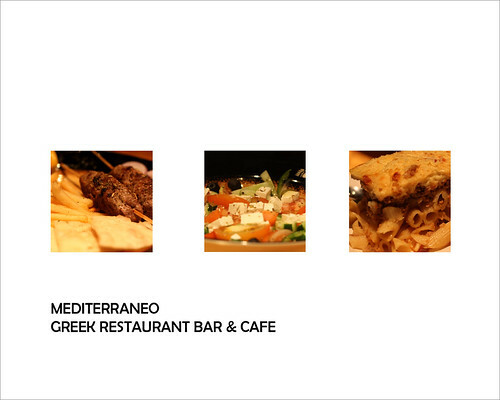 Find out if my dining experience in this branch was better, great, or worse! I almost had a Bruce Banner moment, not with rage, but with envy after hearing my boss talk about the wonderful dining experience he had in Cafe Marco at the Marco Polo Hotel. Looking for a breakfast place in downtown Colon was difficult. Pakalista Jon and I were done taking some photographs at the Basilica Minore del Santo Niño for the Sinulog and were looking for a non-fastfood (no offense Jollibee and McDonalds) and non-carenderia (not safe for our cams) type of place where we can eat breakfast and have some of those sunny-side up fried egg. Mango Avenue would have been the location to look for such kind of Cebu restaurant but I didn’t want to go there because I didn’t want to get myself stuck in traffic when going to work afterwards. We went to CDU in Mandaue reclamation area instead to have Filipino food at Sugbo Silog. Oh well not entirely but only for some of the perks that came with it. As someone from the product development field, I have suppliers from around the world and when they visit me here in Cebu, they are forced usually treat me and/or my boss out to lunch or dinner for meetings or just hang out with them after an intoxicating discussion. 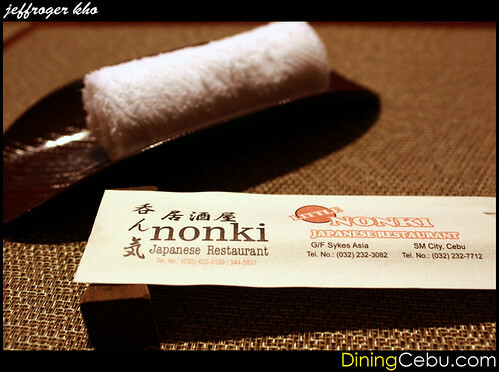 Lunch at Nonki Japanese Restaurant was one of those days. I like it when I get to visit a Cebu Restaurant that I haven’t tried yet and dine there for FREE! Pakal session at this Chinese restaurant in Parkmall Mandaue Cebu was one of those days. It was a spur of the moment decision when my officemate decided to treat us a week after her birthday. I was even more pleased to know that we will be celebrating at Manila Foodshoppe in Parkmall. Have a break, have a Dimsum Break! For the past few weeks, DiningCebu.com featured home-grown Filipino restaurants in Cebu Tsiboom and Golden Cowrie, and also popular pizza places like (the controversial) Alberto’s Pizza and Calda Pizza. 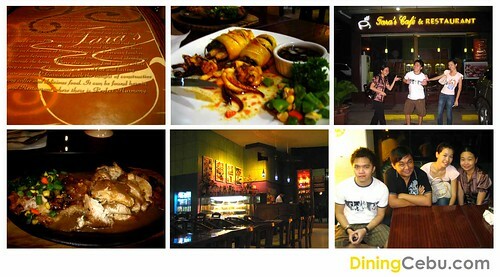 This week the Pakalistas of DiningCebu.com will bring you some Chinese loving. The Chinese have very strong influence on Filipino cuisine. Typical examples are the pansit and the lumpia, which are very much of Chinese origin but are also served in Filipino restaurants in the Philippines. But whatever origin it comes from, as long as it tastes good, affordable, and easy to prepare, the Filipinos will love it! I seldom see a food blog out there reviewing food establishments in a food court. 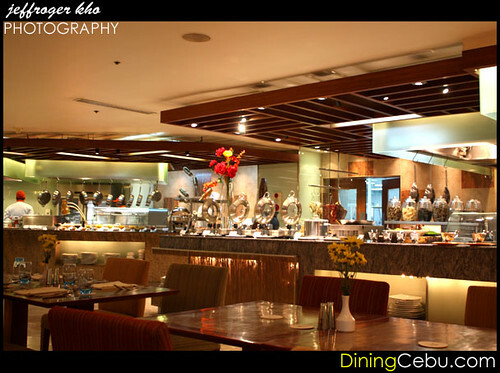 We at DiningCebu.com aim to promote ALL food and restaurants in Cebu. Be it from a humble carenderia, a stall on the mall or on the street, a family-owned cafe, or posh places like restaurants in the Terraces Ayala Cebu and hotel-based Cebu restaurants. So first up on our food court escapade is Majestic Express at Robinson’s Mall. We were on our way to Dong Juan when we passed by Tara’s Cafe and were so intrigued by its classy interiors, the lighting, and by the number of people dining there even when it’s already late.